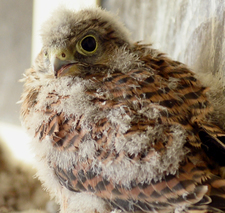 “Fifty kestrel chicks have been ringed this year. This is part of a project to conserve and monitor this protected species in North Lanarkshire. “We are working with SSPCA and Central Scotland Raptor Study Group to monitor the birds living in the area. And we will identify their movements and breeding patterns. “John Mason MSP has taken on the role of species champion for kestrels as the Scottish Parliament. He visited Drumpellier Country Park to learn more about the project. “He met with Countryside Ranger Jackie Gilliland and SSPCA Investigation Officer, James Leonard, both of whom are members of the Study Group. During his visit, Mr Mason visited two nesting sites and helped to ring ten kestrel chicks. “The coloured rings placed on the birds’ legs allow them to be identified. Additionally, their movements are monitored to find out more about their habits. And, why numbers of the species have dropped across the UK. “One of the local nesting sites is on the roof of Dunbeth Tower in Coatbridge. This is where the council has built ledges for the kestrels. Over the past seven years, 30 chicks have been reared at this location. “Our Countryside Rangers also identify suitable sites across the area. They work with landowners to obtain permission to erect nest boxes. As a result, the kestrel population in North Lanarkshire is increasing. 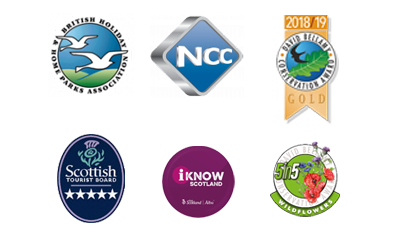 To find out more about what’s happening near Red Deer Village Holiday Park and in the Stepps, Glasgow and Seven Lochs areas, check out our news page!